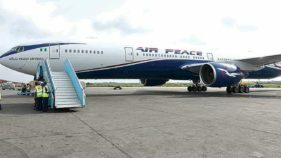 A new platform, flyamco.com, launched by Amco Travel and Tours Limited is set to improve customer experience and address challenges in the travel and hotel industries in Nigeria. 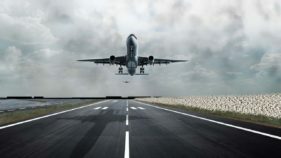 Speaking at the launch of the platform in Abuja, Chief Executive Officer of the company, Ahmed Mohammed Sani, said the platform becomes necessary to offer Nigerians a technology-based solution to the challenges in the aviation and hotel industry. With the platform, individuals can make booking for flights and hotels at discounted prices and still enjoy quality services.Sani decried the poor services customers get in the country, especially in the aviation and hotel sector, adding that the new platform would provide customers with oriented and top quality travel and tour services in compliance with the highest international standards. Determined to fast-track the growth of the sectors and enable them contribute more to the country’s Gross Domestic Product, Sani stated that customers would be provided a 24 hours service for greater convenience of e-travellers and tourists as way of boosting local tourism. “We have been in the sector for about a decade. We have been at the forefront promoting travel and tourism in Nigeria. We have prioritised comfort and quality services and have built trust in the market. We have been operating charter flights for holy pilgrims, especially Umrah and Hajj. 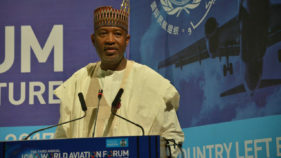 We explore new frontiers daily and our next option for Nigeria is to leverage technology to address challenges in the sector and offer a seamless experience that will boost our aviation and tourism sector,” he said.